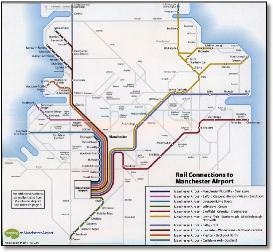 Based on the Northern map, the design means that Manchester stations cannot be shown, so Piccadilly only shown on local service to Deansgate even though all trains call and some reverse, but there's a 'Manchester' caption floating around. 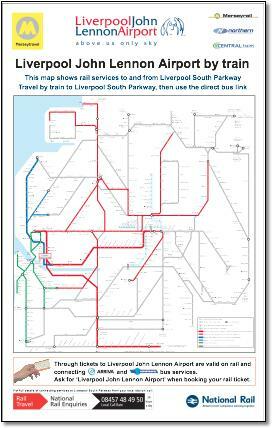 Another poor map from Merseytravel. 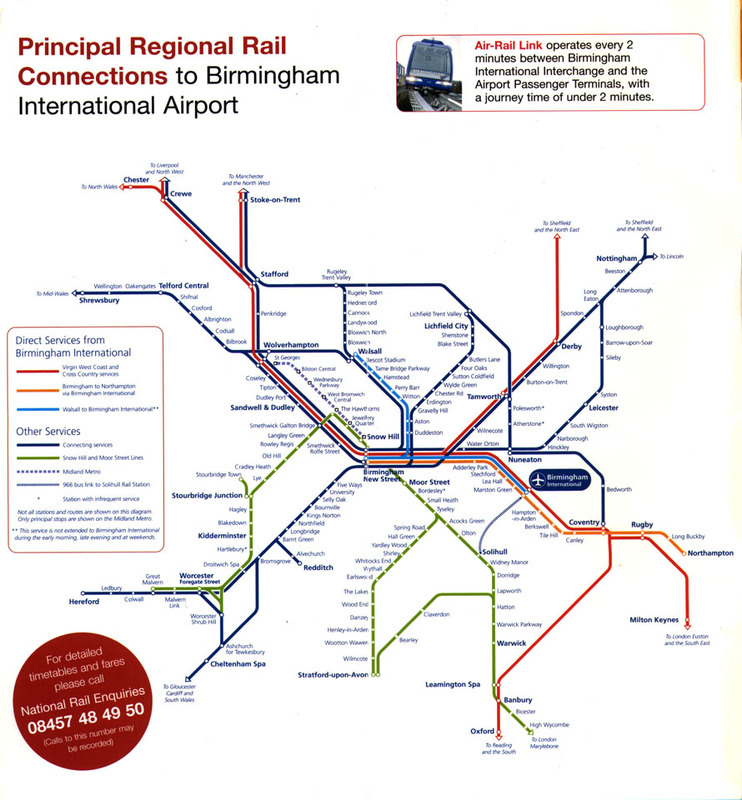 The lower map is based on the Central Trains map which has the problem of combining a dense urban network around Birmingham with cross country links between the west and east coasts. A hard task. 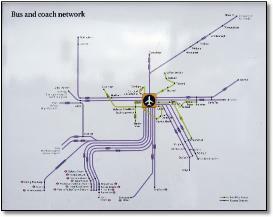 This map just copies that local area network map - but the airport should be in the middle with all lines feeding in. 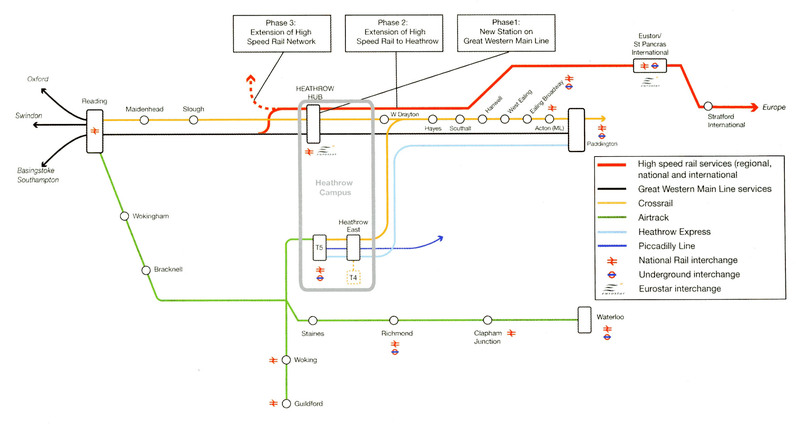 Probably a hard task as the airport is on a radial route with difficult and unrealistic connections apart from through central Birmingham. 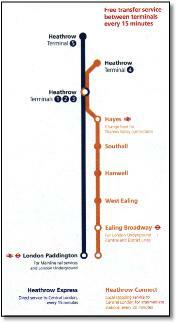 Even there, a walk is required to access all the ex-GW routes. 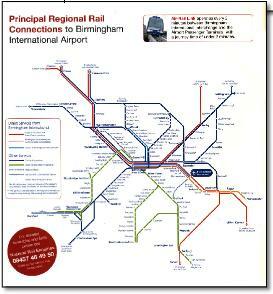 This map has not started to convince the user that getting to the airport by rail is practicable. 4 Terribly distorted Coventry - Leamington line (the green London line could have continued at 45º allowing the Coventry line a more natural vertical shape. 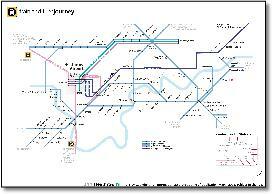 12 Worcester - why blue/green further apart between Shrub Hill and Foregate Street? 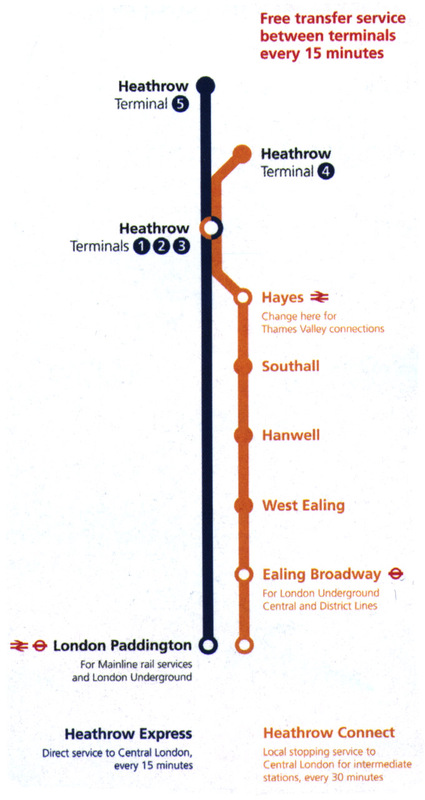 Does 'free transfer service between terminals' imply a direct T4 - T5 shuttle not shown? Shame the central vertical isn't aligned. No reference to name of airport served. 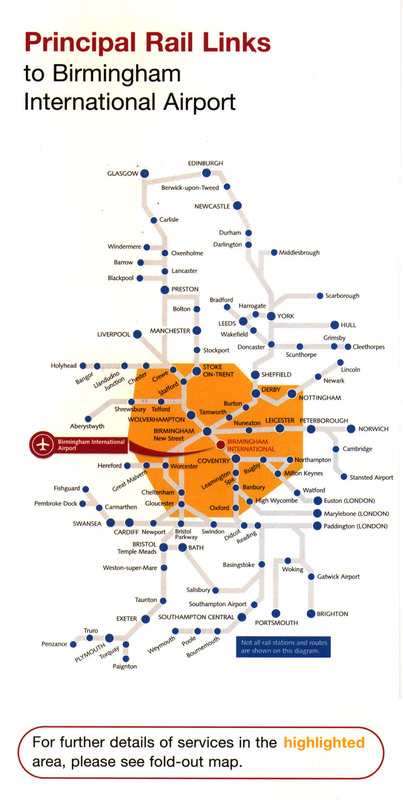 Particularly Nottingham, Derby, Long Eaton, East Midlands Parkway and Loughborough which all presumably refer to East Midlands airport, but how should one choose one over the other? 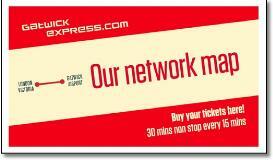 The leaflet suggests using Peterborough to change for another service to Stanstead, why not Cambridge or Ely? 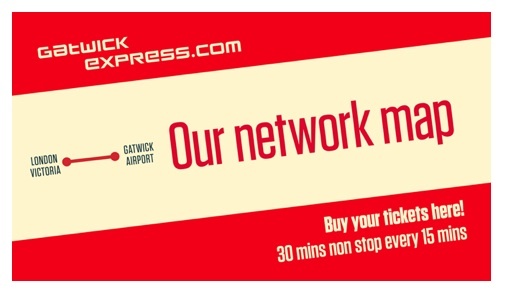 And surprisingly, St Pancras is for Gatwick, not Heathrow, which doesn't feature in the list of seven international airports. 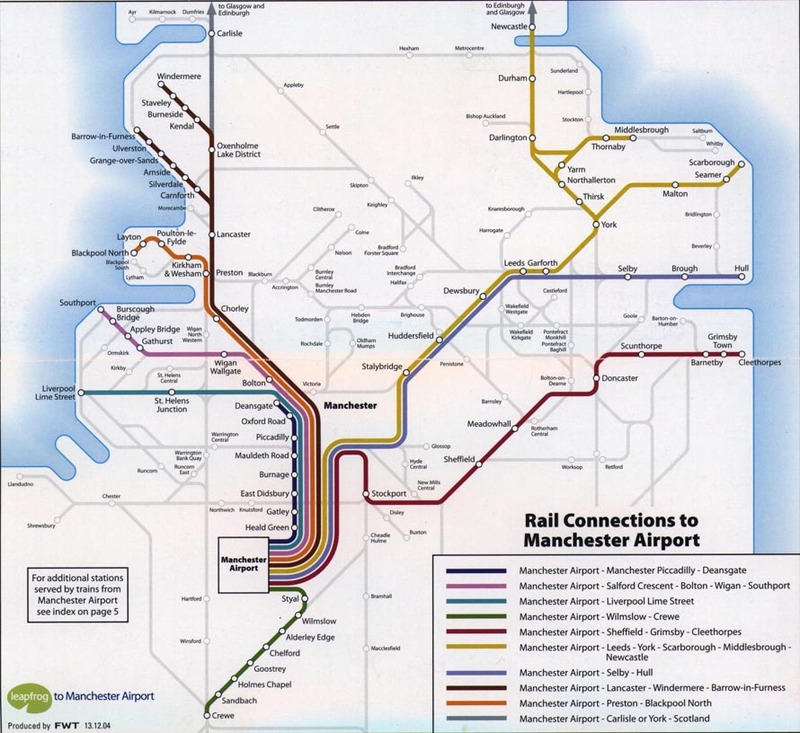 The Liverpool arm has been unnecessarily extended on this version of the standard EMT map making the map less efficient overall. 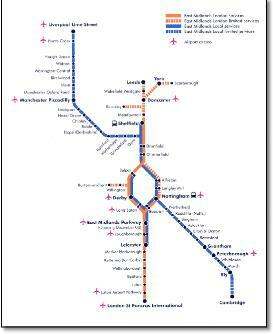 And where is the Norwich line, or come to that, the many other missing EMT routes that can provide 'access' to airports? 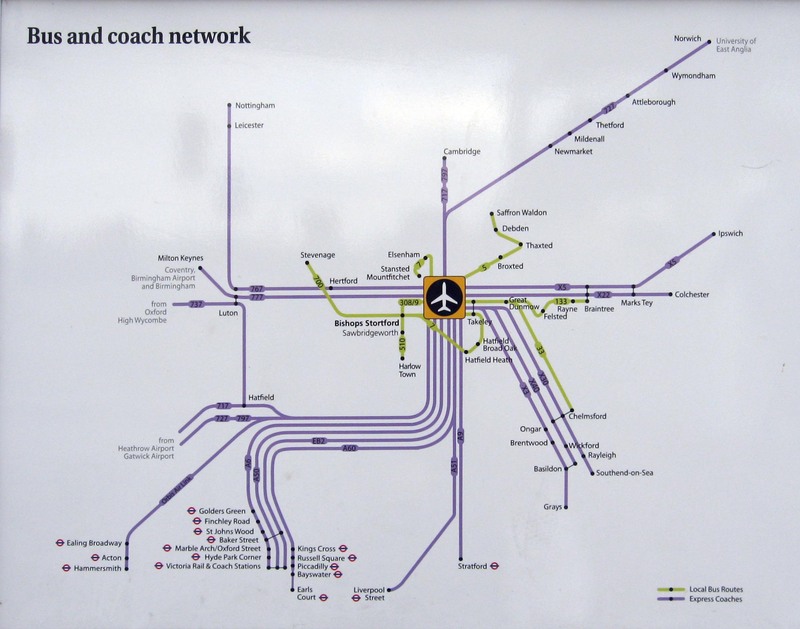 Why the distinction between London and 'local' services (when local includes the major Liverpool - East Anglia cross country route)? 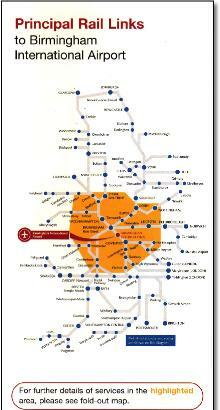 And surely the 'limited services' distinction taken from the main route map is of no benefit here? 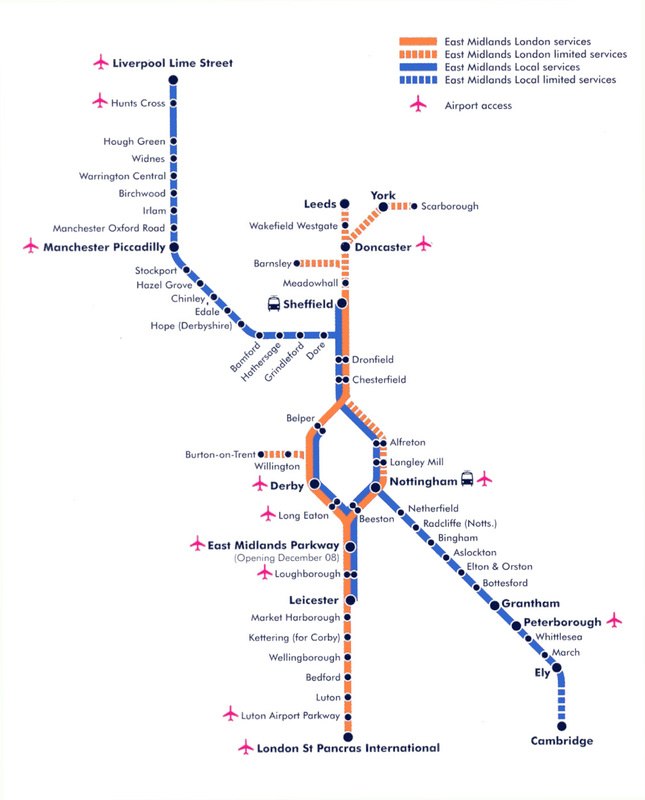 This map should show direct services to airport stations like, for example, the Manchester Airport map.